Sponsor a leading wedding blog and help couples planning their wedding find your awesomeness! Over 450,000 unique views last year!! why should you sponsor want that wedding? For the 3rd year in a row, WTW has been named a top 10 UK wedding blog and influencer within the wedding industry. That’s pretty impressive (even if I do say so myself). Want That Wedding is a wedding blog built on inspiring brides to style their day in their own unique and chic way. 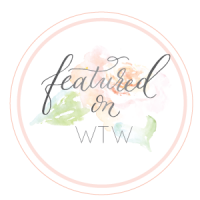 WTW loves and encourages brides to show their personalities in the styling of their big day and wedding suppliers who show their personalities and love what they do. There are no ‘rules’ just be true to your stylish self and your own unique style! WTW is a UK and International [London-based] wedding blog that regularly features beautiful, real life, chic and inspiring weddings / styled bridal shoots / wedding advice & tips / wedding inspiration & ideas / competitions and various posts on the best and most talented vendors in the wedding industry. An established wedding blog, WTW has been running for over five years and is going from strength to strength. Notably, WTW’s styled shoots have been featured on top UK blogs Love My Dress, Rock n’ Roll Bride and Rock My Wedding and top US blogs, Wedding Chicks and Bridal Guide. WTW has also been featured in Unique Bride Magazine and seen on youandyourwedding and wedding ideas blogs. Rather excitingly, Want That Wedding has been short-listed for the fourth year for a prestigious Wedding Magazine, wedding blog award. WTW had over 850,000 unique visitors last year and this figure is steadily rising! A prolific social media contributor with a daily presence on Facebook [6,000 likes], Twitter [16,000 followers], Pinterest [40,000 followers], Google + [245,000 followers] Instagram [11,500]. WTW also features in the Top 100 Wedding Blogs and Top Wedding Tweeters lists. WTW blogs a minimum of 4 times per week and up to 10 posts per week. 300 x 250 | 300 x 125 | width banners are available to preferred and vetted wedding vendors. If you’d like to discuss leaderboard banners, please do contact me for more info. 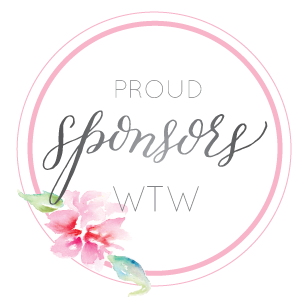 WTW also supports all sponsors who take up a banner placement by promoting their news / offers and events over its social media channels and includes links on the blog on a weekly basis in the sponsor news section. Need to put the spotlight on your wedding business? WTW offers sponsored posts for approved and vetted wedding vendors. The content can be tailored completely to your needs and is shared extensively overall social media networks. Does your wedding business have its own blog? Are you finding it difficult to come up with compelling content ideas and posts? Why not have a wedding expert create unique content for you and your blog. I’m full of creative wedding ideas and will also share your post on my social media. Contact me for more details. For further details and to start advertising your wedding business now, please contact me to request a media pack. Already a fab WTW sponsor? Grab the WTW badge and link back.